The Ministry of Science and Technology has started the scheme in technology commercialization following the Silicon Valley model. Minister Nguyen Quan had a talk with the press about the project. - Why Vietnam chose the Silicon Valley model of the U.S., not the models of other developing countries such as France and Russia? - The majority of Vietnamese, especially scientists know about Silicon Valley as the beginning place of many "giants" in the field of science and technology of America. Google, Microsoft and other software firms, including Apple are rooted here. This model is successful because it creates incentives for the scientists to freely create and it is associated with the establishment of sci-tech enterprises. Silicon Valley is essentially the place to create high-tech, new technologies, which have become the key element in the global economy. Today information and communication technologies are a result from the Silicon Valley. We cannot have achievements in mobile communications if we do not use Microsoft products, or Google. So the model of Silicon Valley is not mixed with other models, though we have the models of Russia, France, China and Japan. Besides, the Silicon Valley giants, from the beginning, were sci-tech enterprises with the largest resources as intellectual property and it was formed with the support from venture capital funds and other businesses. The most successful venture capital funds are in the Silicon Valley so we have invited experts from here and from the U.S., especially Vietnamese experts who have worked for a long time here as advisers for the project. We hope that with their experience and their success, Vietnam will be successful. - What conditions are needed for entrepreneurs and scientists to participate in the Silicon Valley project? - On the scale, the involvement of businesses or scientists will depend entirely on the venture capital fund that we are building. The High Technology Law mentions this fund but because of some constraints of the legal system in Vietnam, especially the State Budget Law that we cannot invest in venture capital funds. We welcome all organizations and individuals to contribute to building the venture capital fund in the Silicon Valley model, only with their passion, their potential and their readiness to accept risks. On the criteria for participation, the very first criteria required are scientific spirit, the will for technology innovation, commitment to master new technology and the braveness to invest in research activities. In the Silicon Valley, it is often said that of each 10 projects, up to 9 failed. But with just one successful project, it can bring huge profits to investors as well as scientists involved in the project. So the Silicon Valley continues to grow. - As you have said, the success of Silicon Valley is that they have large capital intellectual property. However, in Vietnam the "brain drain" story has not stopped yet. So how can Vietnam gather intelligence to carry out the project? - To gather Vietnam’s intelligence we must have two elements. The first is enthusiasm and passion of scientists. The second is the good working conditions for domestic scientists. We hope that the new Law on Science and Technology with the new policy will create favorable working conditions for the scientific community and will help prevent brain drain. Of course, even the United States or other powers such as Japan, India and Russia ... cannot avoid brain drain. - But infrastructure in Vietnam is still limited. What should Vietnam do to achieve conditions like the Silicon Valley? - Vietnam is a developing country so the state and society’s investment in science and social technology is very limited. 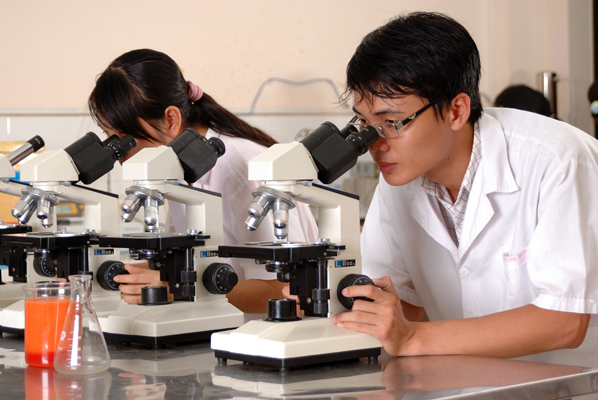 Vietnam does not have strong research institutions with modern equipment which are capable of attracting the scientific community. But the Silicon Valley at the start-up time was also in modest conditions. The issue is that how the corporate community and scientists are interested in it and whether Vietnam has the mechanism to create the venture capital fund to support application research or not. Because the state budget is never enough and spending from the state budget must obey strict rules of law. But the venture capital funds are different. - How will the venture capital fund operate? - This fund is mainly contributed from businesses, organizations and individuals, not from the state budget, so the scientists only need to hand over products in accordance with the contract to get funding from this fund. We think that the venture capital fund will share the risks of research because if scientists use the state budget for research and fail, they would face inspection, audit and even have to return the capital they used to the state budget. With venture capital funds, the investors and the scientists share the risks. In addition, the fund will be used effectively because investors will be monitoring investment decisions. - What is the roadmap for the venture capital fund in Vietnam? - We will build the first pilot fund to see the level of success, and then we can determine to form the system of venture capital funds in high-tech parks, the hi-tech incubators, etc. 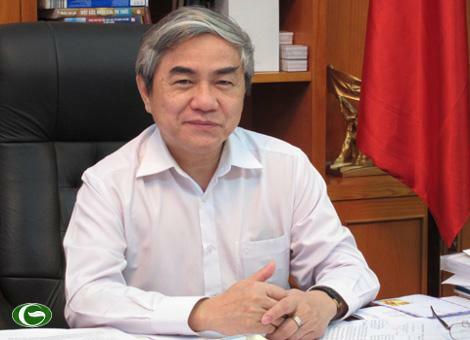 I hope that in 2014 the first venture capital fund of Vietnam will be put into operation.